Cilajet Aviation Grade was originally developed for the commercial aerospace industry as an anti-corrosive sealant for painted and metal surfaces. As such, Cilajet conforms to the most recent Boeing Specifications (D6-17487 Rev. T), as well as Airbus Specification AIMS09-00-002. Cilajet "auto paint sealant" was made available to the automobile industry, in its original Aviation Grade formula, in 2007. Since that time, Cilajet Aviation Grade has been recognized throughout the industry as the premier coating to protect your vehicle's finish from harsh environmental contaminants such as UV rays, bird droppings, and acid rain. Commercial jets can fly 600+ MPH at 30,000 feet through rain, clouds, dust, sleet, snow and extreme temperature changes. What a commercial jet sees in just one week, a car may never see in its lifetime! 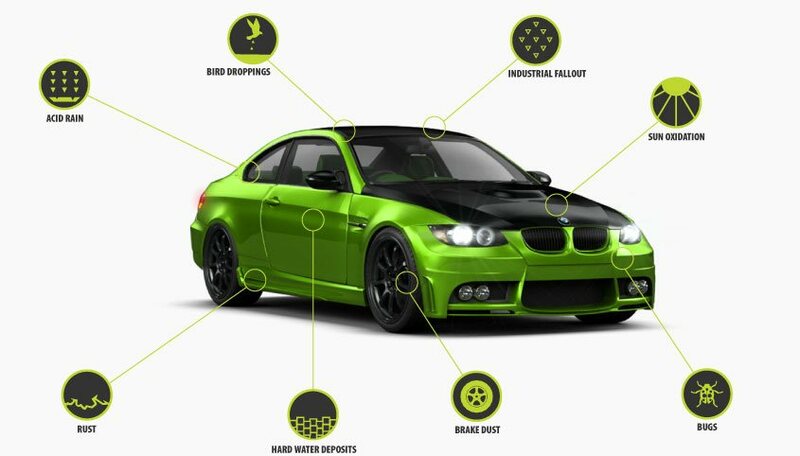 With Cilajet Aviation Grade, your car is guaranteed to retain its new car finish through your ownership period!